ajit jaokar commented on Eduardo Siman's blog post How do you search for a #sensor in Antartica on your Internet Of Things (#IoT) browser? Aka: Does #Arduino dream of electric sheep? "interesting :) love the original thinking how else would you solve this problem?" 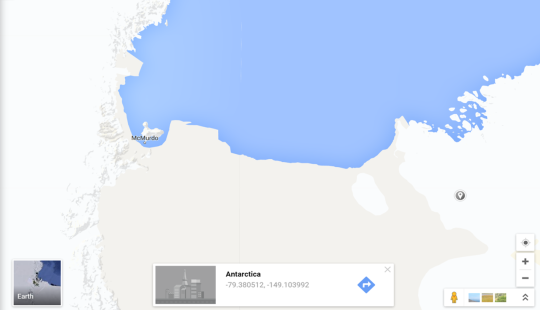 How do you search for a #sensor in Antartica on your Internet Of Things (#IoT) browser? Aka: Does #Arduino dream of electric sheep? "...this is totally XXI century ....u know what i mean => https://www.youtube.com/watch?v=DdIdZwDqkmg ; ==>> https://www.youtube.com/watch?v=sAqMlkhBCnw"
Georges Bressange liked Eduardo Siman's blog post Will Big Data solve the Riemann Hypothesis? Georges Bressange liked Eduardo Siman's blog post Robot Company: Can a True AI Run a Business Autonomously? Anne Marie Cooper liked Eduardo Siman's blog post There will be EXACTLY 18.995 billion connected #IoT devices by 2020. There will be EXACTLY 18.995 billion connected #IoT devices by 2020. IT Director at apparel manufacturer. Previously private wealth adviser at Goldman Sachs and Senior Consultant with Deloitte Consulting. MBA in mathematical finance from Columbia Business School in NYC. @Namenode5 on Twitter. I see four stages in the progression of chatbot-like AIs interacting with business systems for the purpose of providing actionable business intelligence. If you have ever launched a web page on a Raspberry Pi or Arduino, you know that it feels a bit like magic. How is it possible that a device the size of a credit card can be a web server? Its awe inspiring to be sure. For me, it leads to one of the key questions I have about the Internet of Things and how it will affect our world. How are we going to organize and search for all of these billions of devices? If you follow news about the Internet of Things, you will have read quite a few articles that attempt to predict the number of connected devices by the year 2020.